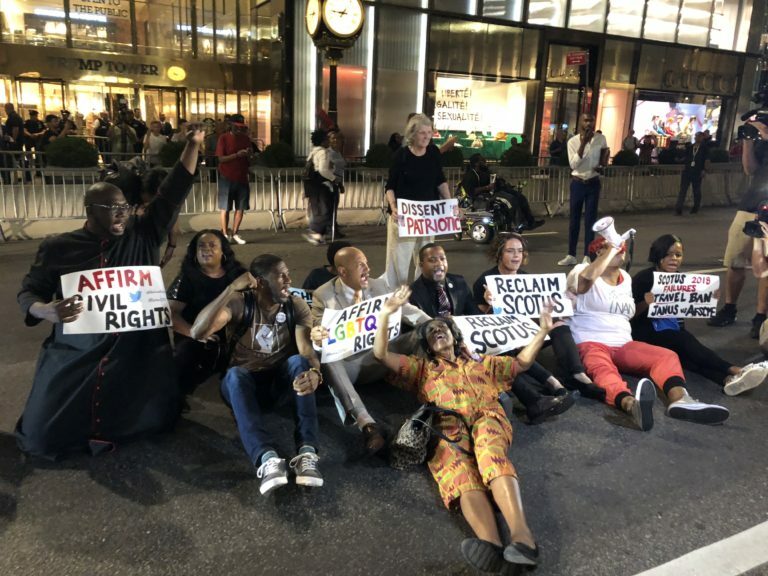 After calling on Senate Democrats to wage an unrelenting battle in opposition to the President’s latest Supreme Court pick, Brooklyn City Councilmember Jumaane Williams and six others were arrested Monday night while protesting outside Trump Tower. A spirited crowd of 80 to 100 people gathered outside the building in advance of Trump’s selection of Brett Kavanaugh to replace retiring Supreme Court Justice Anthony Kennedy. Williams, who is currently running in the Democratic primary for Lt. Governor, said Democrats must do everything they can to prevent Kavanaugh from being seated on the Supreme Court. 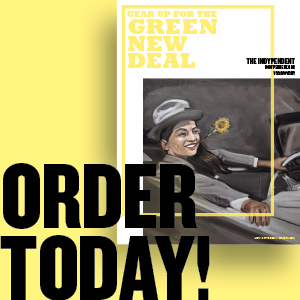 “All of the progress America has made to pull herself out of her dark past will be erased,” said Kirsten John Foy, president of the National Action Network’s Brooklyn chapter and the protest’s lead organizer. He noted that a Supreme Court that moves further to the right is likely to reverse its past support for abortion rights and affirmative action among other concerns. Shortly after Trump announced his selection of Kavanaugh on national television, Williams, Foy and five others walked into the middle of Fifth Avenue and sat down to block traffic. NYPD officers quickly swooped in and arrested them. Six protesters were charged with disorderly conduct, according to police, while the National Action Center’s Rev. Kevin McCall was charged with obstruction. Williams and fellow City Councilmember Ydanis Rodriguez were among a group of 18 people arrested on Jan. 11 while trying to prevent Immigration and Customs Enforcement (ICE) from deporting immigrant rights leader Ravi Ragbir. Photo (top): Councilmember Jumaane Williams and others block traffic outside of Trump Tower in Midtown Monday night. Credit: Dean Patterson.